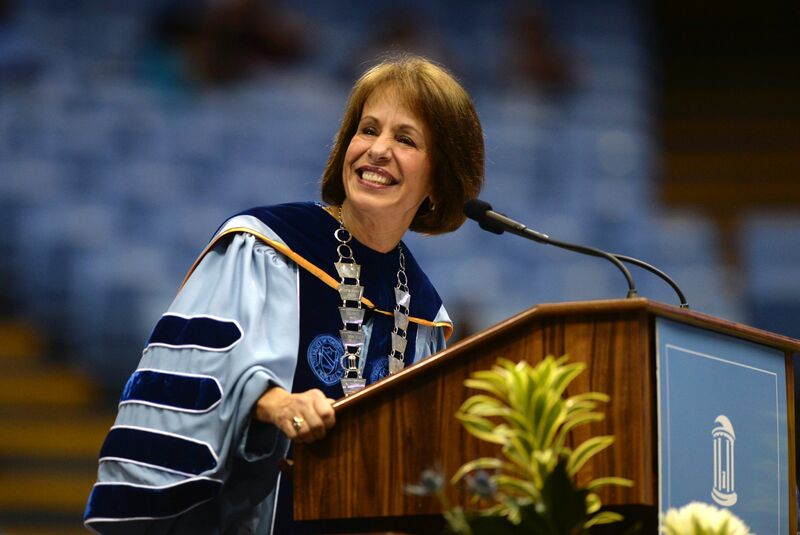 Chancellor Carol L. Folt announced Monday that she plans to step down as chancellor at the end of this academic year in May. In the same announcement, she said she was ordering the last of the Confederate monument removed from the campus. 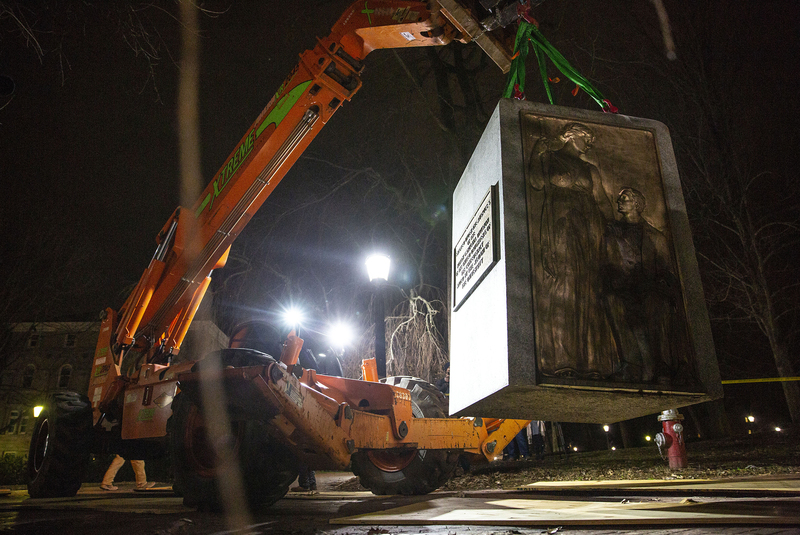 The base of the statue and the commemorative plaques attached to it were removed Monday night. While members of the Board of Trustees praised her accomplishments and thanked her for her service, the chair of the UNC System Board of Governors said he was caught off guard. The Chronicle for Higher Education reported that BOG Chair Harry Smith said the board had been meeting in closed session about “issues related to UNC Chapel Hill’s leadership” on Monday afternoon and that the governors had not been notified of Folt’s resignation before the public announcement. The most recent chapter in the Silent Sam story has Folt and the trustees proposing on Dec. 3 that the University build a history and education center near the campus’s southern border that would house the statue and the BOG responding two weeks later that the $5.3 million price tag for such a center was out of the question. The board set up a five-member task force of its members to work with the Board of Trustees, the chancellor and top administrative staff to come up with a different plan for disposition of the statue, which was pulled to the ground by its detractors in August.